Sometimes you just want to have a cookie. Or a biscuit. It’s a treat, just once in a while (you say to yourself). I am not going to deny it, I love cookies, fresh ones, from the bakery. Who doesn’t? It doesn’t happen very often that I would buy these naughty treats though as they are so unhealthy, loaded with refined sugar and unhealthy fats. If you love cookies and biscuits (like me) but still want to be healthy, luckily there is a solution! 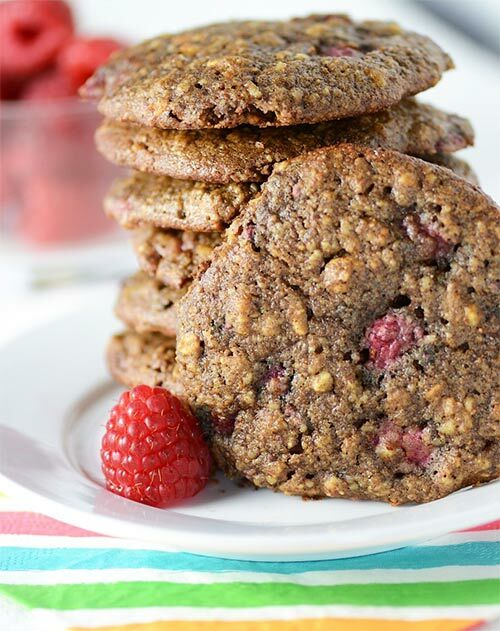 Healthy or at least healthier cookies! I searched some of my favourite blogs and websites and found some amazing healthy recipes for you to try. Don’t worry, they are not complicated to make, not at all. Most of these healthy cookies and biscuits are actually really easy to make so why not try making these healthier treats yourself instead of buying unhealthy ones from the shops? Take a look at the delicious recipes I found below. Chia and flax seeds healthy biscuits from Hedi are yummy, crunchy and nutritious biscuits. They are suitable for vegans and really easy to make. All you need is a banana, flax seeds and chia seeds. So simple! For a full recipe go to this page. Follow Hedi, who blogs over at Hedi Hearts, on Twitter and Facebook. 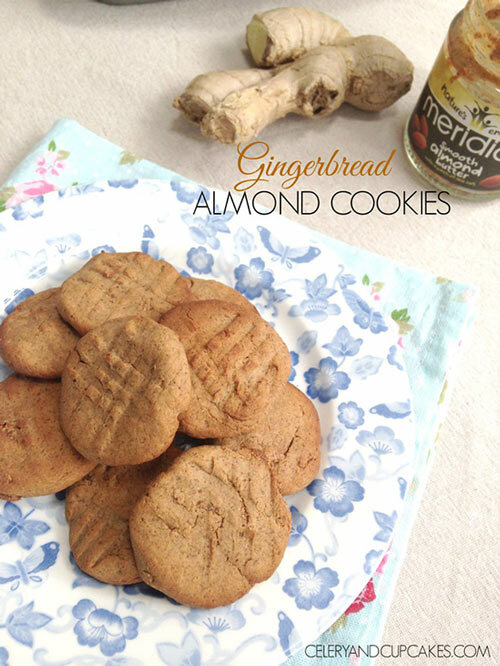 These chai cookies from Erin are something really special as they are dairy-free, gluten-free and even grain-free. 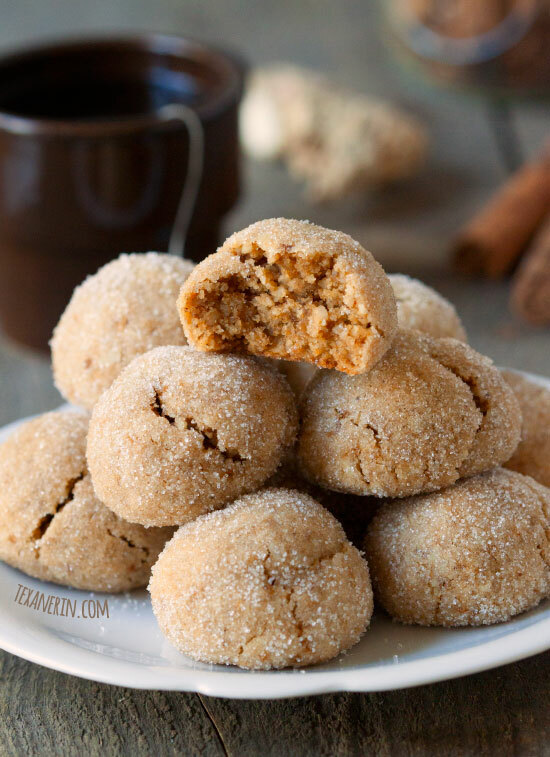 You can make these paleo by using coconut sugar instead of processed white sugar. Find the recipe for these here. These Raspberry Almond cookies from Mona are perfect for breakfast and you can easily grab them on the way to work. They are gluten-free, vegan and really healthy since the processed sugar is not used. Instead, they are sweetened with unsweetened apple sauce and maple syrup. For a recipe go to this page. 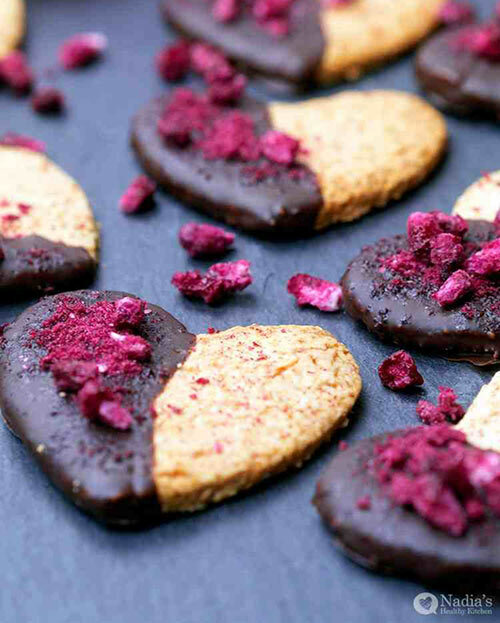 This is a healthy biscuit recipe perfect for impressing your other half! Be it a birthday or anniversary, these heart-shaped vanilla biscuits from Nadia will make your partner feel extra special. These biscuits are gluten-free and sweetened with the natural, low-calorie sweetener xylitol. You can also use stevia for these if you want to bring the calories down even further. Nadia creates some amazing healthy recipes so you should really check out her blog and follow her on Facebook and Twitter. 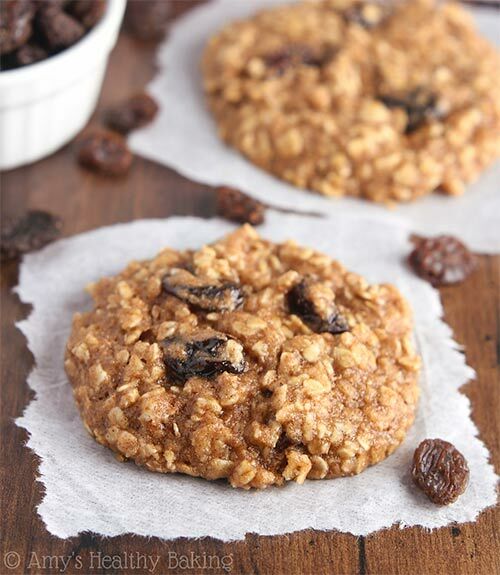 This is apparently the BEST recipe for oatmeal raisin cookies you’ll ever make. 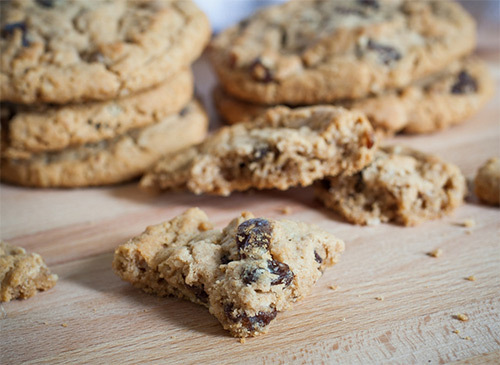 Soft, chewy & packed with raisins. They’re so easy to make & they don’t taste healthy at all, enjoy! 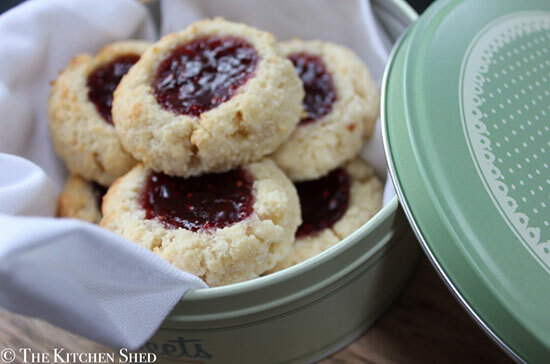 This recipe for Coconut Raspberry Thumbprint cookies is just one of the many healthy cookie recipes you will find on Charlie’s blog. They are ‘crazy delicious’, Charlie says. They definitely look yummy and you will only need five ingredients to make them so what’s not to love! Follow Charlie from The Kitchen Shed on Facebook and Twitter. 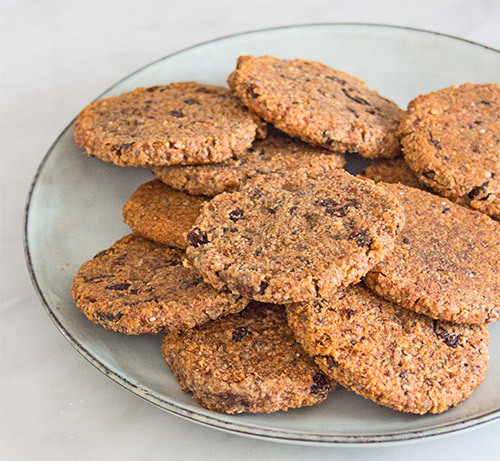 Another very simple cookie recipe is from Deliciously Ella who says that these healthy cookies are the “the easiest, most deliciously chewy cookies”. You only need five simple ingredients to make them: ground almonds, Medjool dates, almond milk, dark chocolate chips (or raisins) and chia seeds. You can bake this very quickly, in only 15-20 minutes. For a full recipe go to this page. 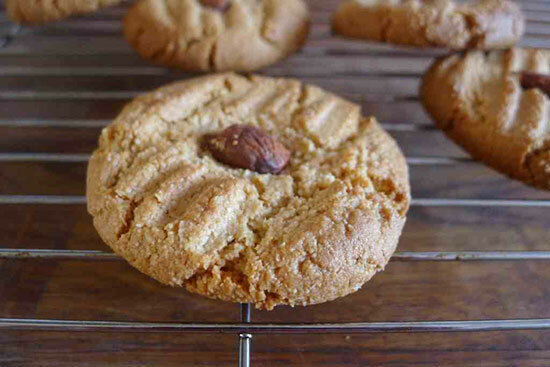 This recipe for Tahini Almond cookies is pretty simple with no flour or eggs involved. It’s suitable for vegans and it’s also gluten-free. Ceri is an experimental Natural Chef and she blogs over at Natural Kitchen Adventures. Follow her on Facebook and Twitter for lots of amazing healthy recipes. 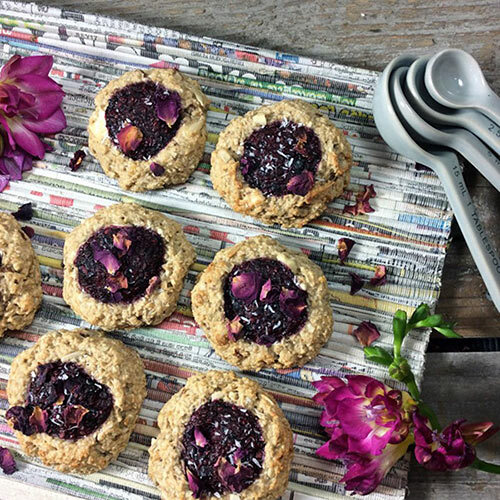 The recipe for Oat and Banana Thumbprint Cookies comes from Niki who blogs over at Rebel Recipes. She got inspiration for these cookies from a My New Routes recipe – for her version, she added a banana for extra natural sweetness and desiccated coconut. The cookies are vegan, gluten-free and contain no refined sugar. You can follow Niki on Facebook and Twitter. 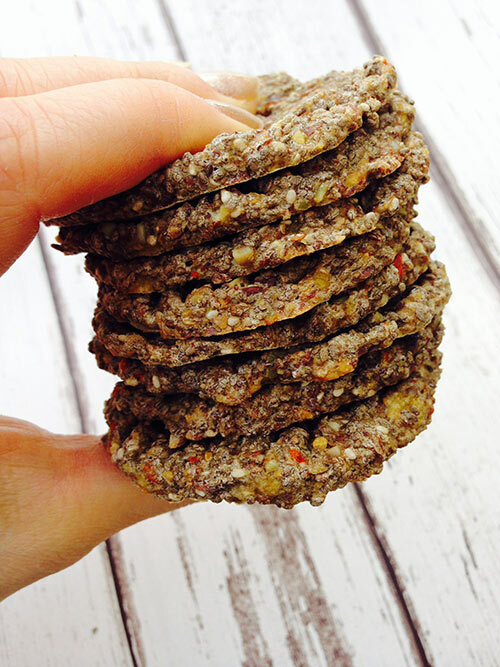 This healthy cookie recipe from Jemma is one of the first healthy cookie recipes that I’ve seen online. It’s a really lovely recipe which does not require any grains and it’s easy to make as well. You only need four ingredients! Follow Jemma from Unconditionally Nourished on Facebook and Instagram. These lemon and date oat biscuits contain no refined sugar and instead, are naturally sweetened with dates, honey and sultanas. You don’t need eggs for this recipe. Find the recipe on the Healthy Mummy website. 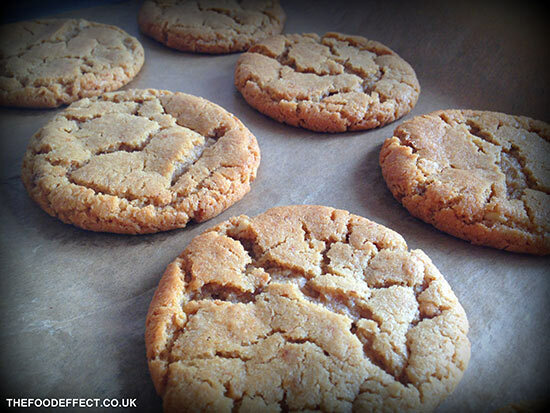 This is another cookie recipe with peanut butter and it’s from Michelle who blogs over at The Food Effect. The recipe has just three main ingredients and it’s really easy to make. These healthy cookies come out crispy on the outside and moist on the inside. Perfect! 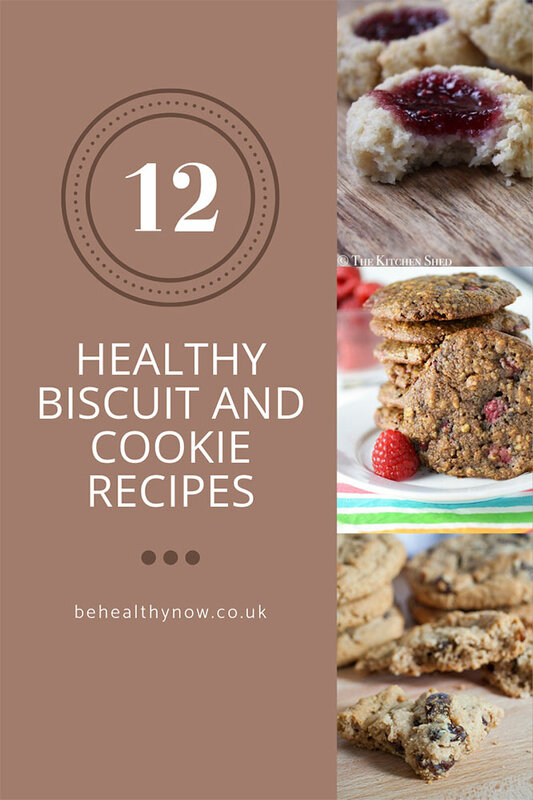 I don’t know about you but I will definitely be making some of these healthy biscuits and cookies in the near future as they don’t seem too complicated to make. Just something to keep in mind – although these are much healthier snacks comparing to the ones you buy in bakeries, remember they are still high in calories so don’t eat too many if you don’t want to gain weight, everything in moderation! What do you think of these recipes? Which cookie recipe is your favourite? This is an updated post, originally published in 2016.